It doesn’t take more than a glance through our internal sales records to appreciate the magnitude of automotive advertising on local and national/spot cable TV. Over the past 4-Years (2013 – 2016), the automotive category captured 35% of total Viamedia advertising (excluding political). 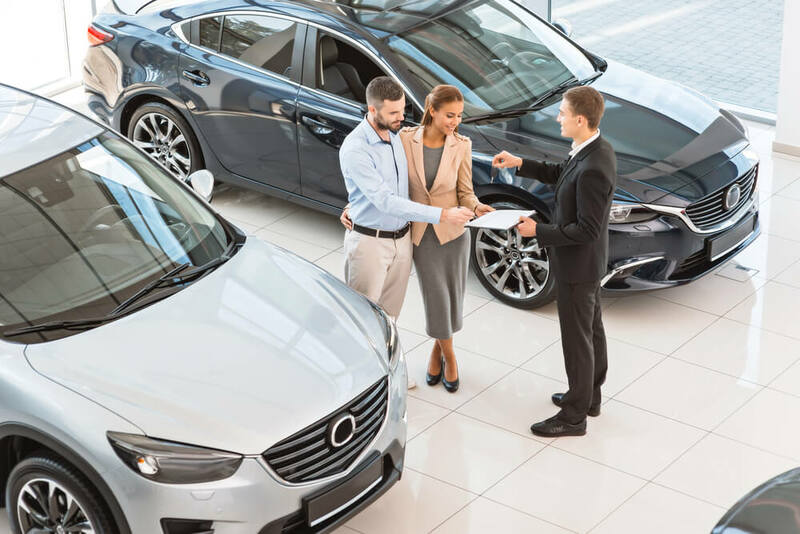 Not only is Viamedia well-positioned to offer highly targeted zone geographies for specific dealerships and dealer groups, but our company also inserts on dozens of highly targeted cable networks that are especially appealing to the entire auto industry, from manufacturer to dealer. Which cable networks should I use? How many different cable networks should be included in my schedule? How should I deploy my advertising by daypart? To address these questions, we ran a series of queries utilizing the rich 20 Million set-top-box database from comScore, which merges TV set tuning with numerous household characteristics, including automobile ownership. 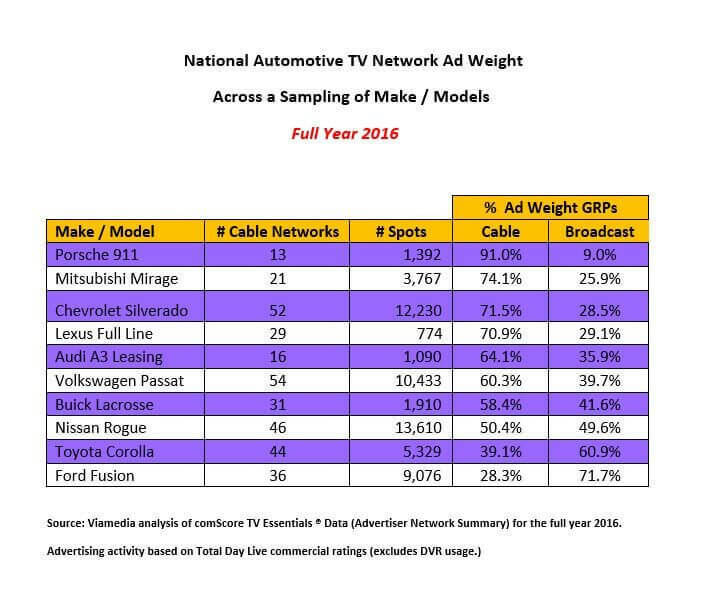 For the myriad of automotive makes and models, there is no set formula in choosing cable networks (and programs.) Clearly, there are numerous factors to consider, such as creative, target audience and merchandising opportunities. 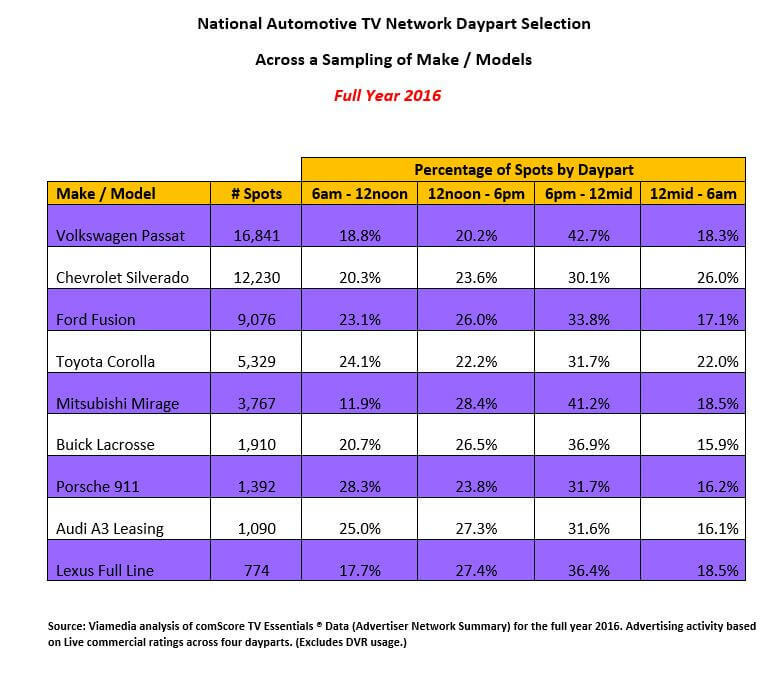 That said, one popular approach is to look at a network’s audience delivery amongst current car owners, which is a particular forte of cable given all of the targeted networks that exist today. Below is just a sampling of data across several popular automobile models. 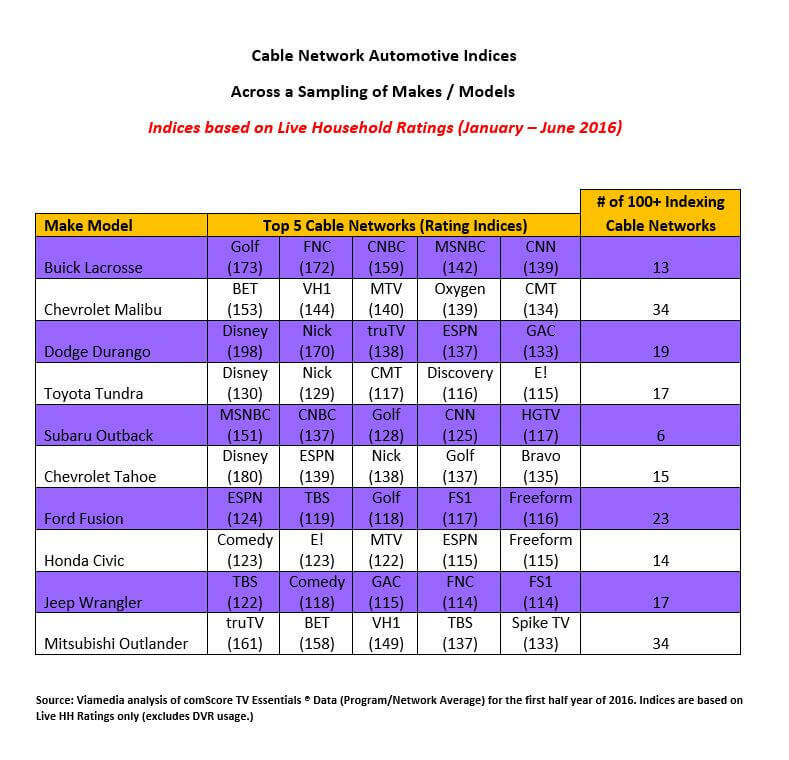 We’ve listed the Top 5 indexing cable networks for each model car…. here’s one example for Buick Lacrosse, a mid-sized luxury car that has been in production for over a dozen years. According to comScore, the total U.S. household rating for the Fox News Channel was .98 (for the first half of 2016.) But amongst the network’s tuning homes that owned a Buick Lacrosse, the rating was 1.68 which is 72% higher than the overall rating, hence a 172 Index. Viamedia is in a unique position to offer at least two levels of targeting for the automotive industry. Our 130+ local cable zones represent an efficient way for dealerships to reach their best customers residing in key trading areas. And we insert on dozens of highly targeted cable networks that attract prime prospects for practically any Make & Model sold in America.